On 21st of November 2017, a Memorandum of Understanding was signed in a solemn ceremony at the EU Commission – Directorate-General for Employment – to bring the 6 European educational umbrella associations closer together. 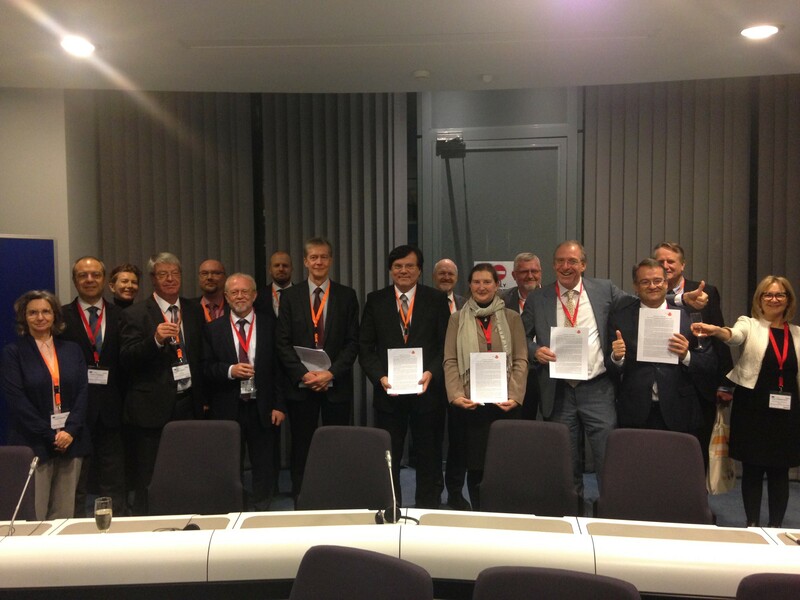 As president of the EVBB and vice president of EVTA, Thiemo Fojkar signed the document. Together, the 6 associations, which include EVBB, EVTA, EUproVET, EUCEN, EfVET and EURASHE, want to get more involved in Brussels EU politics and work on high level VET projects. While EVBB, EVTA, EUproVET and EfVET focus on VET, the other organisations are rather active in higher education. Under the umbrella of VET4EU2 the activities will be coordinated and harmonised.